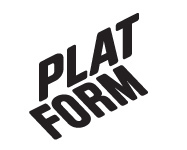 October 2003 – Platform r.f. The screening contains works of 9 artists with different background and expression. The exhibition deals with different perceptions and possibilities of the contemporary moving picture as documentation and as work of art. The exhibition is put togheter of works sent in as a result of an open international invitation.